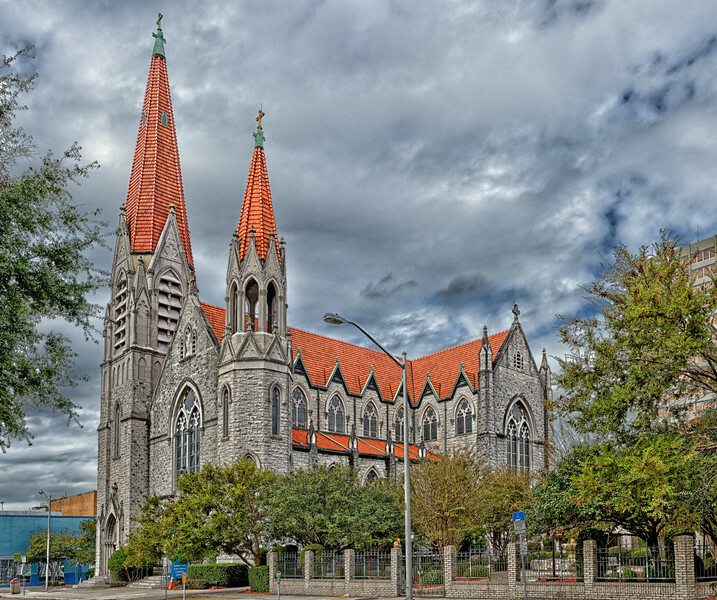 Immaculate Conception Catholic Church, Jacksonville, Florida, founded in 1854. The present church edifice was dedicated in 1910. The former pastor, Bishop Kenny, presided at the dedication of the church which is constructed of white Kentucky limestone.